Former Arsenal number one goalkeeper Manuel Almunia, who sealed his free transfer to Watford recently, has spoken out about the eight years he spent at the club. The Spaniard said that he didn’t feel loved or respected anymore, after he lost his shirt. “On my first day at Watford, the captain, John Eustace, came to me and said, ‘We needed a good goalkeeper and we are lucky you are here’. That made me feel proud and good about myself. “As a person, I always felt loved and respected at Arsenal, but as a player it is different. When you don’t play you don’t feel wanted or loved and your self-belief goes down. One major regret that the former Celta Vigo safe hands has, is playing on with an elbow injury against West Brom – a decision that he believes cost him his Arsenal career. He went on to let in three soft goals. “It was so, so hard to cope with. One day you are number one and ­everybody wants you, and the next day you disappear. I am quite a sensitive person and I am not good in the bad moments. 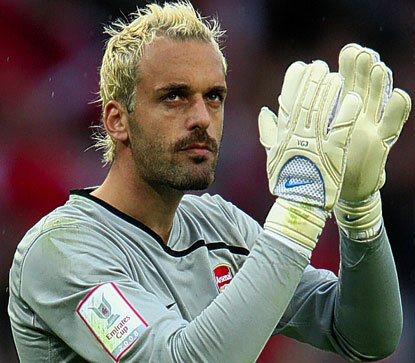 Almunia, however, says he treasures his time in North London and leaves with great memories. “But now I have left, all I have in my heart is good memories and good thoughts for Arsenal, the manager, the players and the fans.